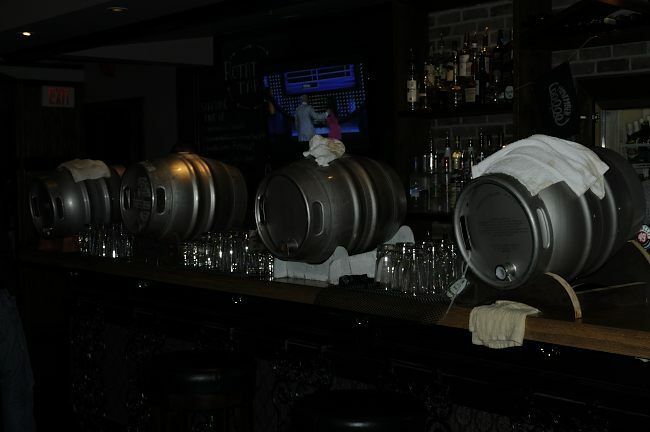 On Friday November 29th, 2013 Townhall Coquitlam held a “Battle of the Casks”. Four great BC breweries were involved including Four Winds, Dead Frog, Cannery and Steamworks Brewing. 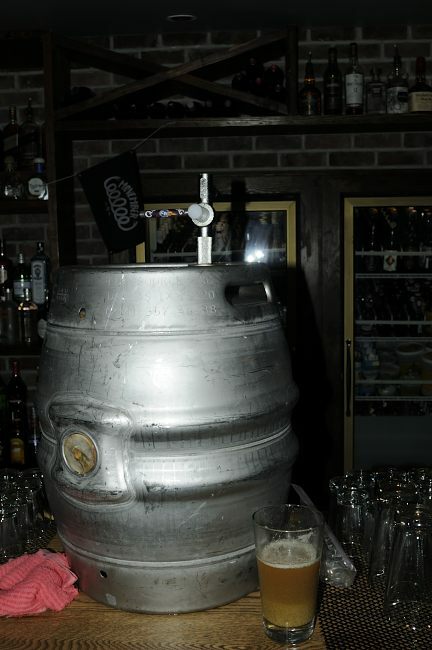 The casks were tapped around 5pm and the beer started flowing. 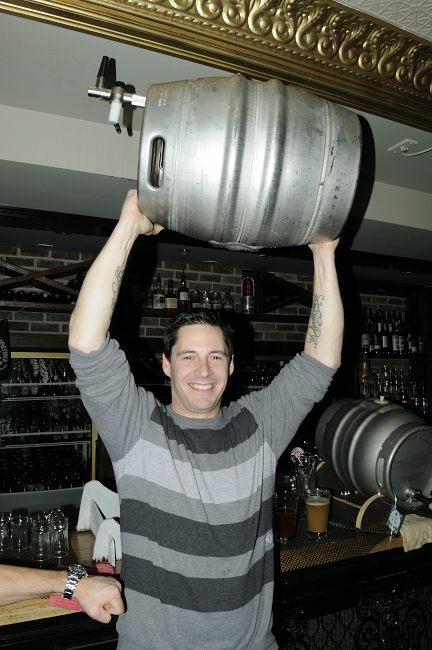 The beer was poured by the brewery staff and then served by the great servers at Townhall. This was the very first Battle of the Casks that they have held so it started with a few hiccups but it ran well from then on. Four Winds Brewing brought their IPA dry hopped with Simco hops. Dead Frog Brewing brought out a Nub Brown ale with chocolate, espresso and strawberries. 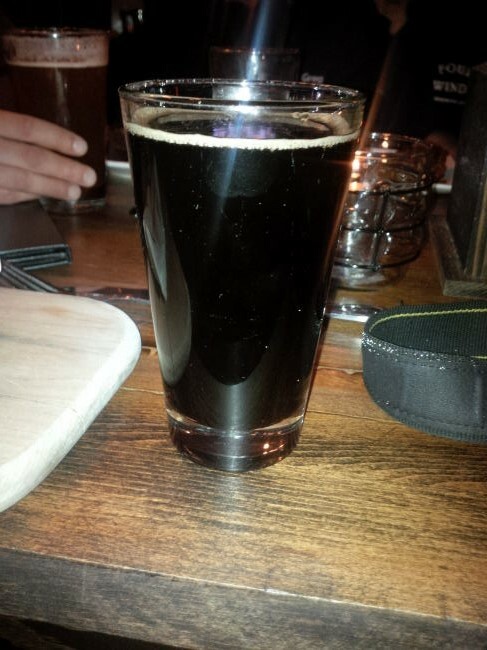 Steamworks Brewing brought a cask of Stout with chocolate, chillies and coca. 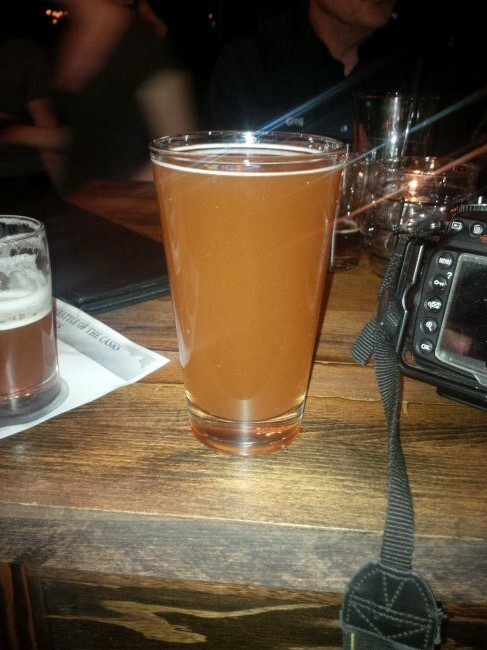 The last cask was from Cannery Brewing and was their Amber Ale with honey and Amarillo hops. All 4 beer were really tasty and everyone in the place was having a really good time. There was a ton of great conversation with lots of great people. Flavour: Lots of roasted malts, sweet chocolate, espresso bitterness and a strawberry flavour that builds with every sip. Appearance: Deep opaque brown with a brown head. Flavour: Malts, honey, citrus, oranges, pine and hops bitterness. All the beer was very popular and it was awesome to see that all 4 beer in the Battle of the casks were a different style of beer. 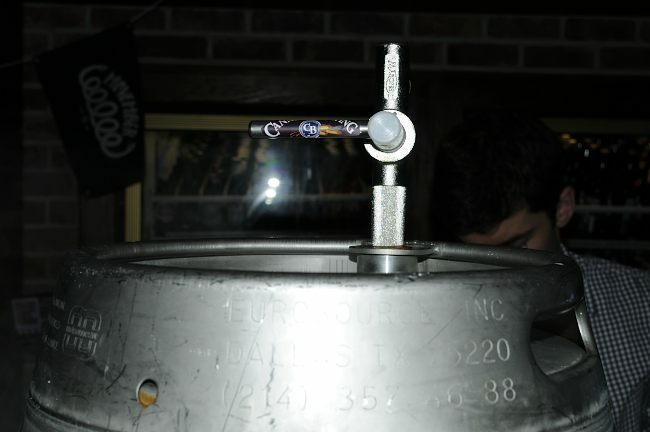 The fist cask to empty and thus win the Battle of the Casks was Cannery Brewing Amber Ale. 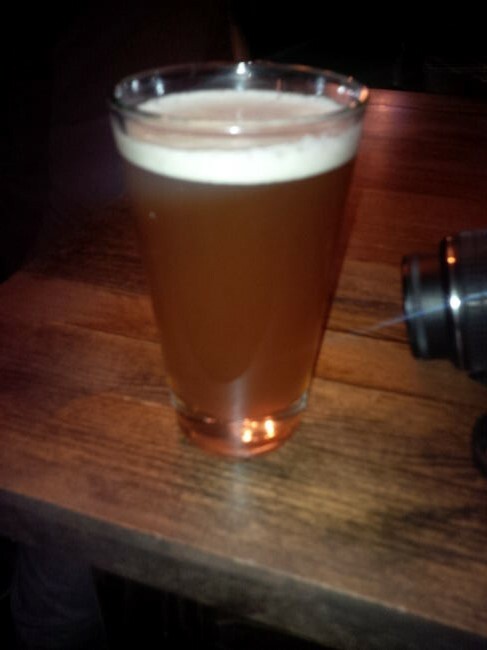 I quite enjoyed the Cannery Amber Ale but my choice of best beer was the Four Winds Brewing IPA. All 4 were great though and I would have had more than one glass each if I did not have to head out after the competition. 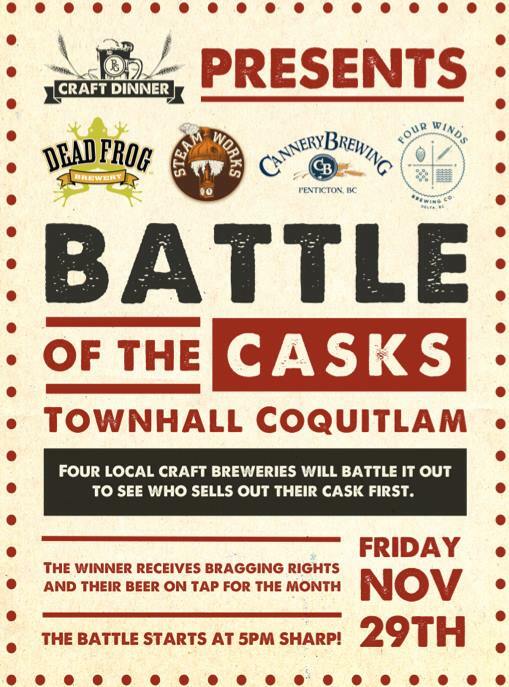 I am really looking forward to the next Battle of the Casks put on by Townhall Coquitlam and I hope to be there! Full Sized photos can be found here check them out! From Vancouver’s R&B Brewing comes the “Cherry Nut Brown” a beer brewed exclusively for Bitter Tasting Room. 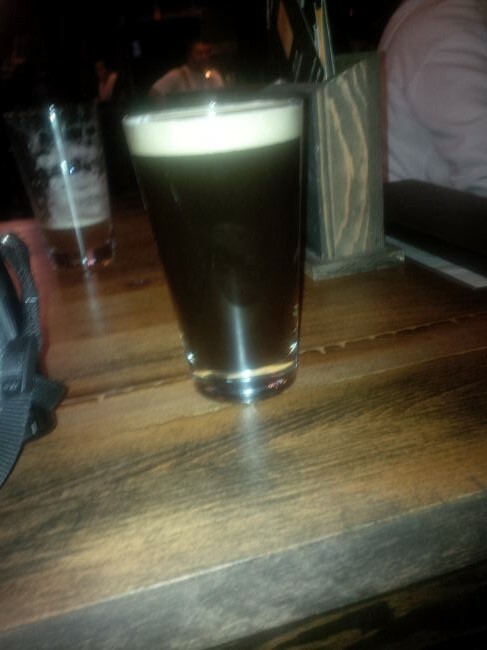 The beer pours a brown colour with a light brown head. The aroma is of malts, nuts and a semi sweet cherry. The flavour is of malts, nuts, mild cherry, mild bitterness and amore tart than sweet finish. The alcohol content comes in at 5%. This was a very nice tasting beer so don’t let the Cherry scare you into thinking it is ultra sweet or anything! All cherries used in this beer were picked in the Okanagan by one of the guys at Bitter Tasting Room. 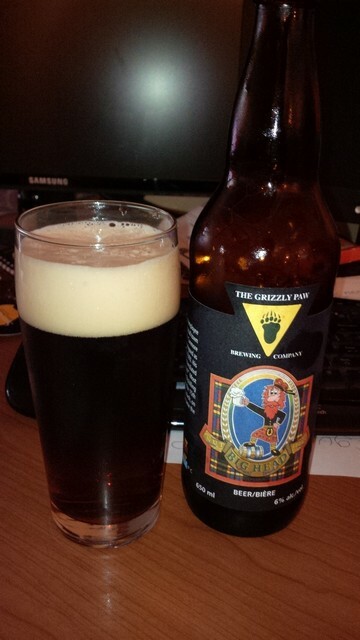 From Canmore Alberta’s The Grizzly Paw Brewing Company comes their “Big Head Nut Brown”. 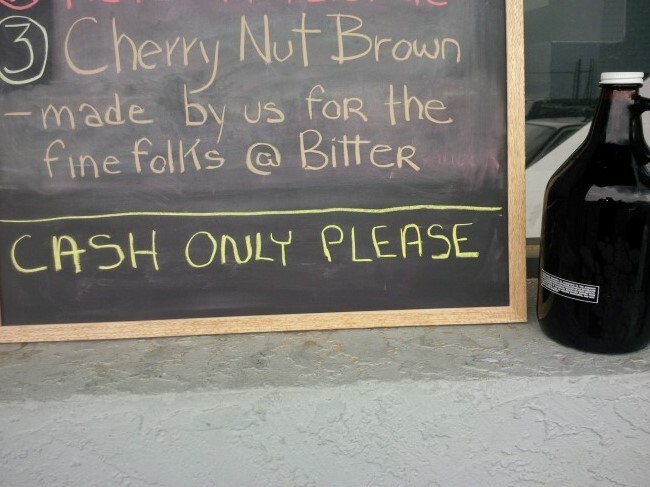 This Nut Brown Ale pours a reddish brown colour with an off white head. The aroma consists of roasty malts, caramel, nuts like hazelnuts and almonds and an overall sweetness. The flavour is of roasted malts, caramel, hazelnut and almond and an overall sweetness. The alcohol content of the beer is 6%. This is a very nice beer and I hope I will be able to get more of their beers in the future! 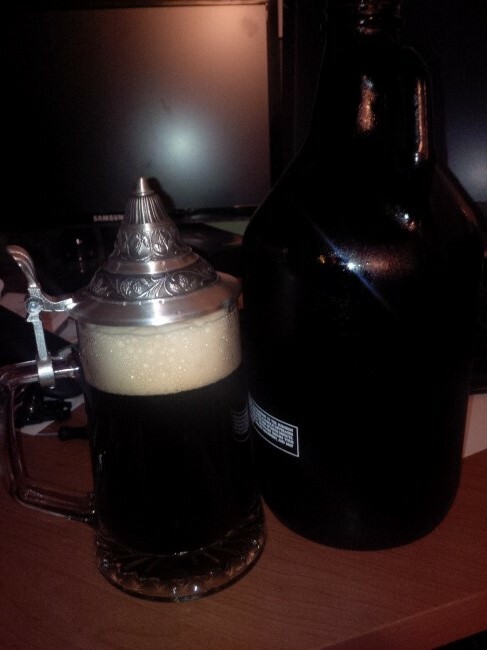 Commercial Description: This is a smooth, medium bodied classic brown ale. A crisp mouth feel, with sweet caramel body, mild hops, and gentle finish, lend to the easy enjoyment of this beer. Brewed from pale malts and four varieties of roast malts this beer has a pleasant malty character. Certainly not a stout, this is a clean, roast flavoured beer. A great alternative to both the Red and Stout. 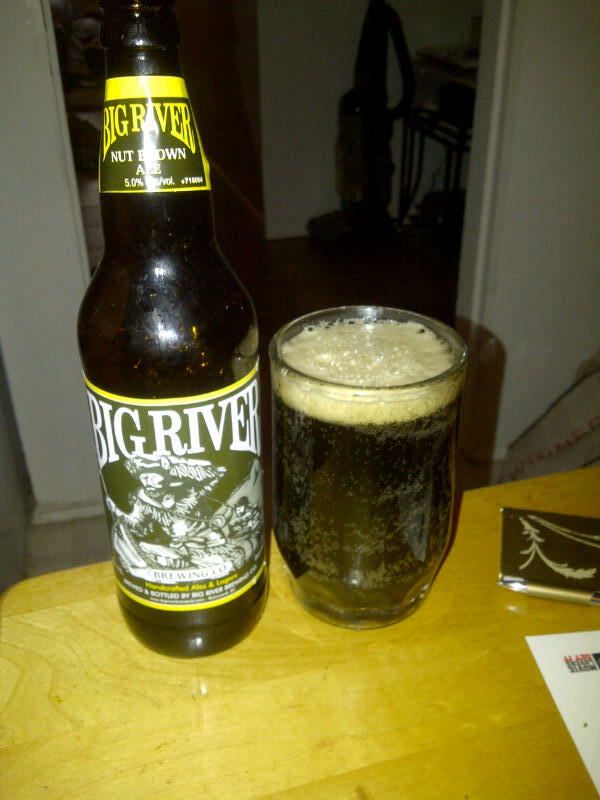 From Richmond BC’s Big River Brewing Company located inside the Zone Bowling Centre comes their “Nut Brown Ale”. This nut brown poured a deep dark brown colour with a brown head. The aroma consisted of roasted malts, nuts and some mild coffee. The flavour was of roasted malts, coffee, nuts and some slight hops bitterness. This is a well balanced, medium bodied ale that is quite tasty. The alcohol content of this beer is 5%.